Therefore, this could be paired with batteries or supercapacitors to provide a hybrid power source for the medical devices. The scientists used gold nanoparticles assembled on the cotton to create high-conductivity electrodes that helped improve the fuel cell’s efficiency. That allowed them to address one of the major challenges limiting the performance of biofuel cells – connecting the enzyme used to oxidise glucose with an electrode. A layer-by-layer assembly technique used to fabricate the gold electrodes – which provide both the electrocatalytic cathode and the conductive substrate for the anode – helped boost the power capacity to as much as 3.7 milliwatts per square centimeter. Results of the research were reported in the journal Nature Communications. Fabrication of the electrodes begins with porous cotton fibre composed of multiple hydrophilic microfibrils – cellulose fibres containing hydroxyl groups. Gold nanoparticles about eight nanometers in diameter are then assembled onto the fibres using organic linker materials. To create the anode for oxidising the glucose, the researchers apply glucose oxidase enzyme in layers alternating with an amine-functionalised small molecule known as TREN. The cathode, where the oxygen reduction reaction takes place, used the gold-covered electrodes, which have electrocatalytic capabilities. Beyond improving the conductivity of the electrodes, the cotton fibre could improve the biocompatibility of the device, which is designed to operate at low temperature to allow use inside the body. 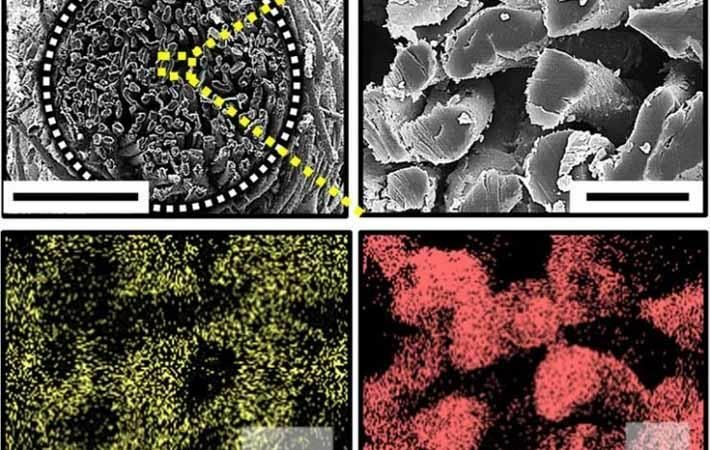 Implantable biofuel cells suffer from degradation over time, and the new cell developed by the US and Korean team offers improved long-term stability. “We have a record high power performance, and the lifetime should be improved for biomedical applications such as pacemakers,” Lee said. The research team also included Cheong Hoon Kwon, Dongyeeb Shin, Minseong Kwon and Jinhan Cho of Korea University, Jinho Park of Georgia Tech and Wan Ki Bae of SKKU Advanced Institute of Nano Technology at Sungkyunkwan University.